This piece is a dandy and so fun to wear. 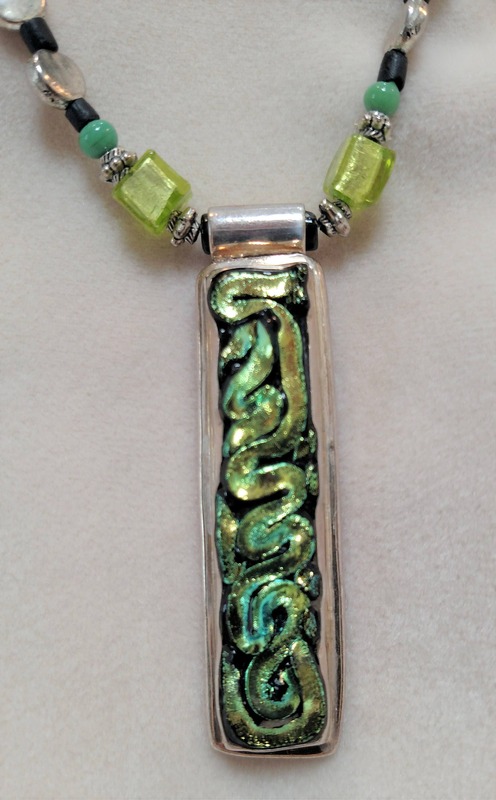 The pendant is the inspiration; a gorgeous piece of fused glass set in sterling silver. The coloration of the glass runs the gamut of opalescent turquoises to chartruses. 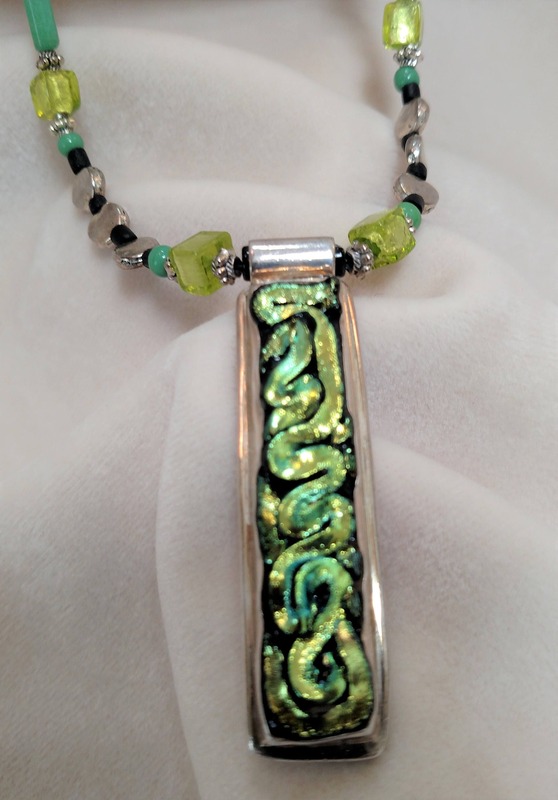 The chain highlights and sets off the wonderful colors of the pendant. 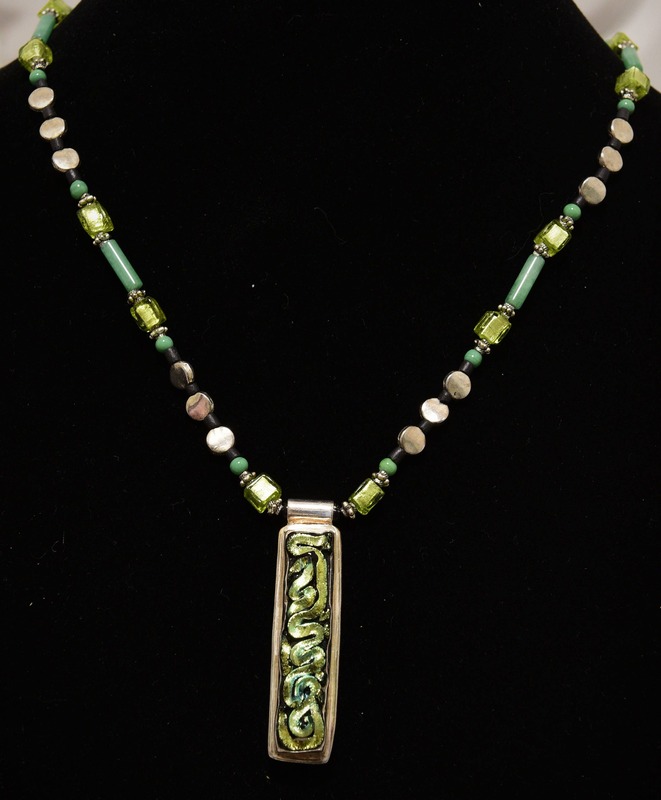 The pendant is approximately 2-1/2" long. 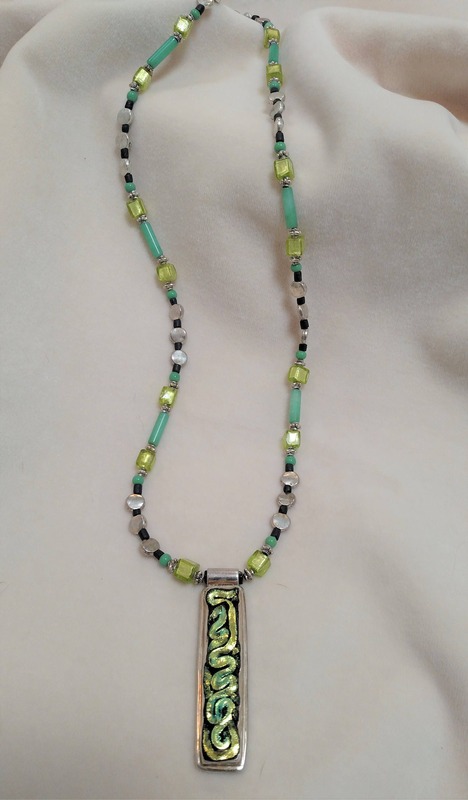 Check out Earrings #22 in the Earrings Section if you would like some coordinated earrings to match this necklace.